Have you ever wondered why you get more done while working in a coffee shop? Is it the pressure of keeping busy while people are milling around? Does the background noise keep you distracted just enough to insight deeper concentration? A new study in the Journal of Consumer Research, “Is Noise Always Bad? Exploring the Effects of Ambient Noise on Creative Cognition”, indicates working harder and being more focused at a coffee shop has to do with the soft, subtle noises you might experience in a local coffee house. In this study, the authors conducted five experiments exposing under-graduate students to varying levels of noise while trying to complete a series of cognitive tasks. In their findings, it is shared that a mid-level of “ambient noise”, the gentle whir of an espresso machine or light, casual conversation, actually enhances one’s creativity. One theory is that the slight distractions found at your favorite local coffee shop force your brain to “tune out the noise and focus more on the task at hand”. Coffee shops provide a more relaxed environment than most sterile offices, encouraging higher creativity and productivity. When the body and mind are relaxed, your affective filter is lowered. And, when your affective filter is lowered, you work more efficiently. There could also be societal factors that contribute to higher productivity while working in a coffee shop. For example, when we find ourselves working at our local coffee house and see other patrons working diligently on their computers, we feel a sense of peer pressure to maintain a similar level of engagement. Of course, we can’t know for sure just how productive and focused our fellow coffee shop patrons are but the thought of looking like a slacker among our peers is enough to motivate most. Ultimately, what it comes down to is the coffee house’s culture; its atmosphere determines the mood it puts you in when you first enter. “Ambient noise” versus obnoxious racket makes all the difference when deciding which coffee shop to frequent. 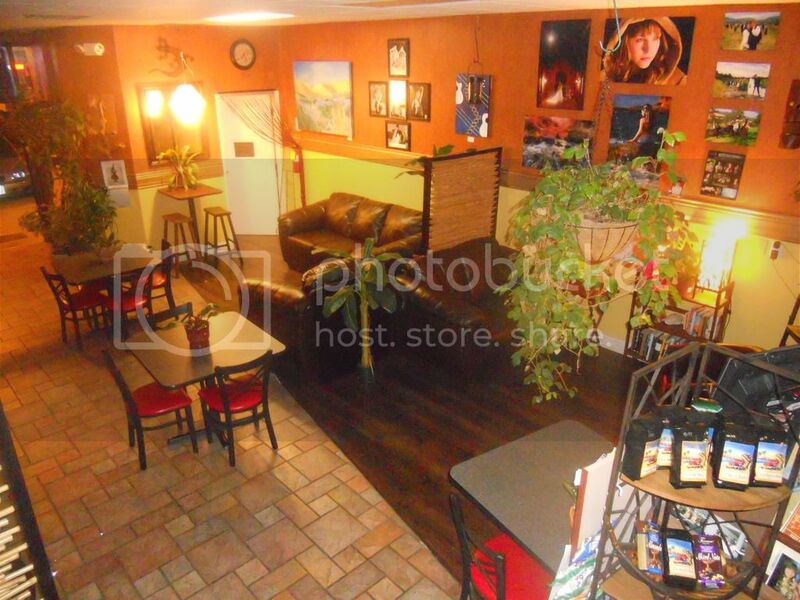 We would like to know what you look for when seeking a coffee house as a work space. Please share your thoughts and ideas in a comment below.